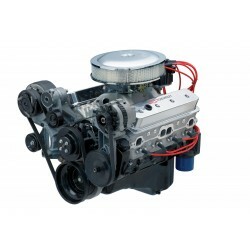 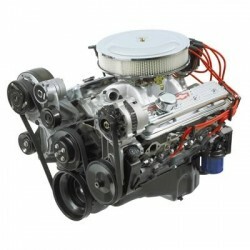 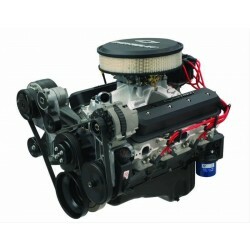 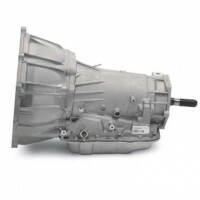 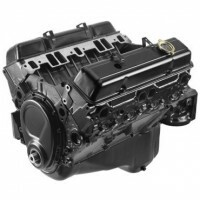 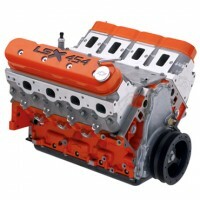 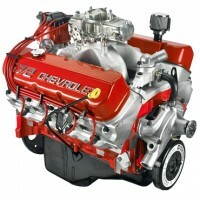 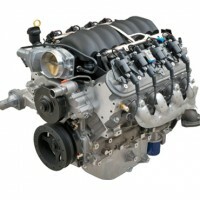 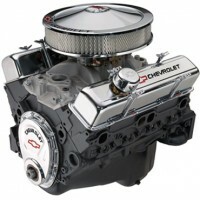 The ZZ4 350 crate engine is Chevrolet Performance’s original affordable crate engine. 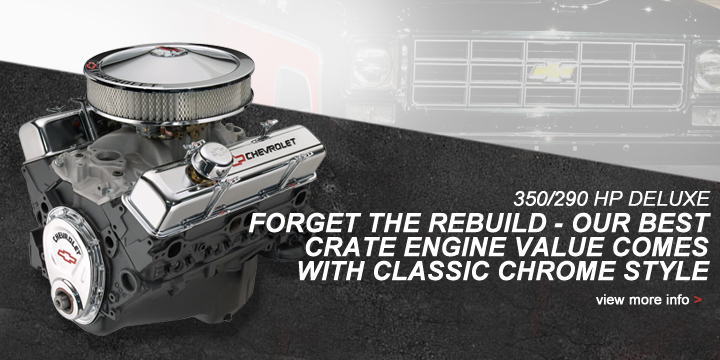 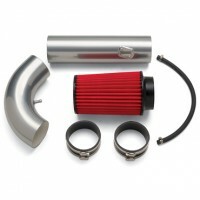 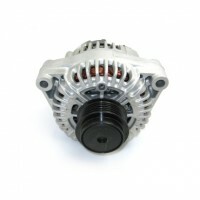 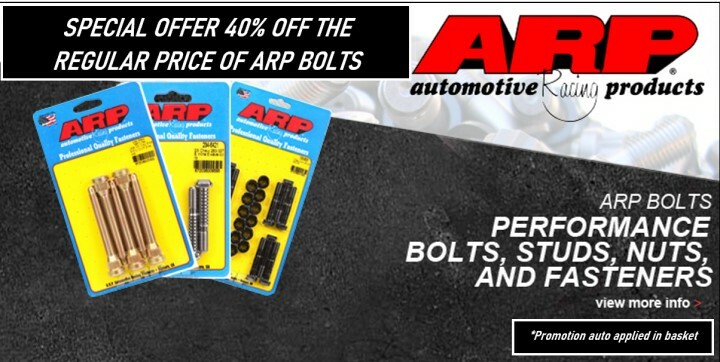 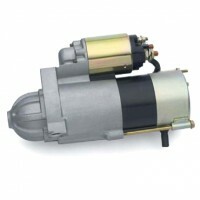 In Turn-Key form, it comes with everything you need to get it running in your project vehicle. 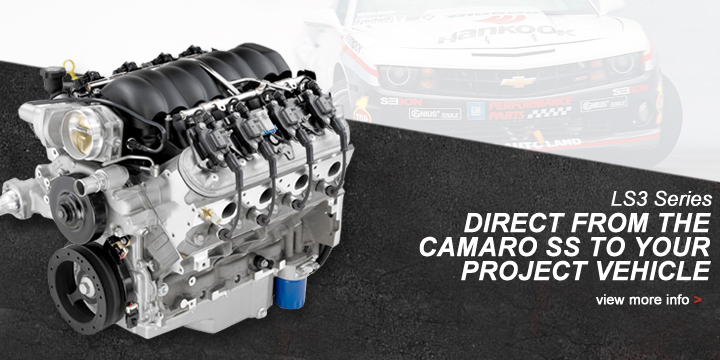 High-flow aluminum heads are the keys to the ZZ4’s robust 355 hp and 405 lb.-ft. of torque. 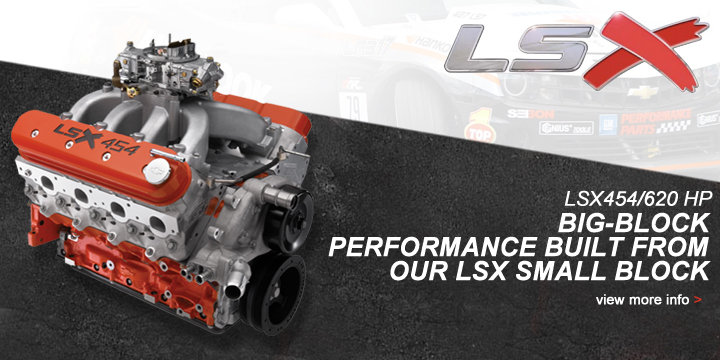 They boast 163cc intake runners, raised exhaust ports and tight, 58cc combustion chambers that enhance compression and power. 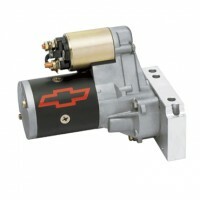 breathers and “T-bar”-style hold-downs), timing cover and air cleaner.